We are using a new process contacting parents in case of delayed openings and school closings. You will be receiving a pre-recorded message on your cell phone and an email. 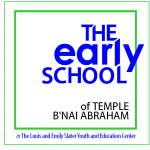 If you do not receive either a pre-recorded message or email by 7:00 AM, you can go to the Early School Website: http://tbanj.org/the-early-school or call 973-994-7016 extension 295. Two Year Olds arrive at 10:15 AM and are dismissed at regular time. Three’s and K-Readys arrive at 10:00 AM and are dismissed at regular time. Only those children scheduled for extended day will remain until 2:45 PM. If delayed opening falls on a Friday, Shabbat with parents will be rescheduled for a later date. Tot Time – Classes will be cancelled.